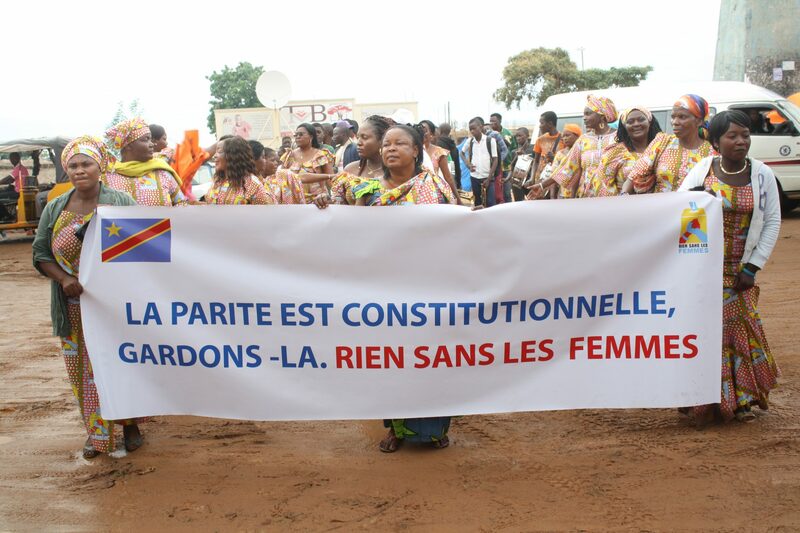 A large number of civil society organisations in the DRC have joined forces in a campaign called Rien sans les Femmes (Nothing without women) to strengthen women’s political participation. Since then, a new gender equality law has been adopted in the DRC. Because so many organisations back the Rien sans les Femmes campaign, authorities are forced to listen. When Rien sans les Femmes presented a review of the gender equality laws, many members of parliament attended, including the Governor of South Kivu, who gave his support to the campaign. After years of hard work, the Rien sans les Femmes campaign has grown into a nation-wide movement of more than 160 organisations. Today, its members are seen as experts on matters of gender equality. Funding was provided by the Swedish Postcode Lottery.